Renowned architect, designer, and artist Abeer Seikaly created these ecological weaved tents with one purpose in mind: giving a home to refugees from war-torn areas and victims of natural disasters. More than just a cover, Abeer Seikaly’s creation combines mobility and comfort (heat, storage, running water and electricity) using nature as an inspiration. The double layer fabric allows the tent to be closed against the cold and rain when needed while draining or collecting rain water. When the weather is hot, the tent opens up to let cool air in and hot air out. The water tank can be used to shower and the energy from the sun is stored in a battery providing renewable electricity. 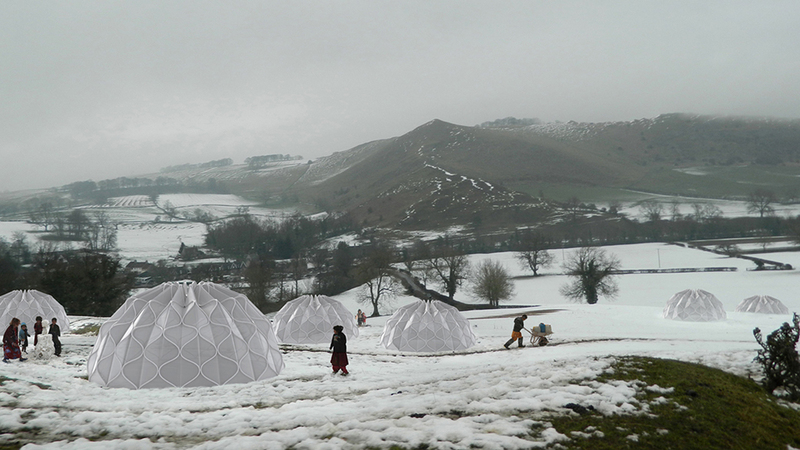 Seikaly’s remarkable shelter won the Lexus Design Award in 2013, but the tent is still at a prototype stage. More than ever the world needs creations such as this one to provide for those who flee their home leaving everything behind. The designer’s hope for her tent is simple: “in this space, the refugees find a place to pause from their turbulent worlds, a place to weave the tapestry of their new lives. They weave their shelter into home”.